An Art and Design graduate of The Cooper Union in New York City, John was creative director for one of the nation's largest healthcare marketing agencies in New York City creating pharmaceutical advertising campaigns, direct mail programs, packaging, logos, letterheads and posters for companies worldwide. 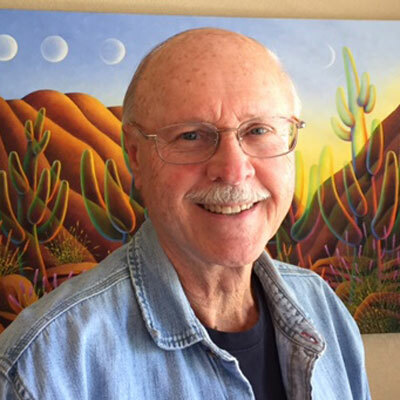 He moved to Arizona in 1994, and was anxious to begin his new career as an oil painter focusing on contemporary desert landscapes. 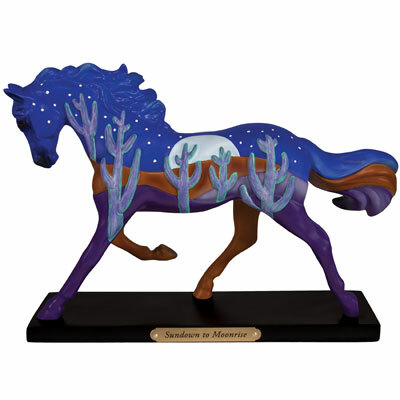 His work is represented in many art galleries in Arizona, and in private collections from coast to coast. 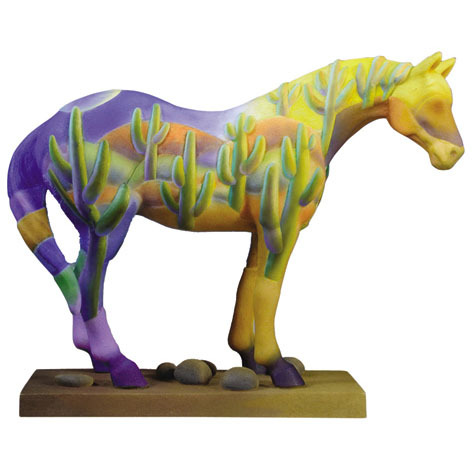 John states "As a Trail of Painted Ponies artist, painting nature's mighty saguaro sculpture onto the powerful musculature of the Pony brings together an inseparable bond that began centuries before."